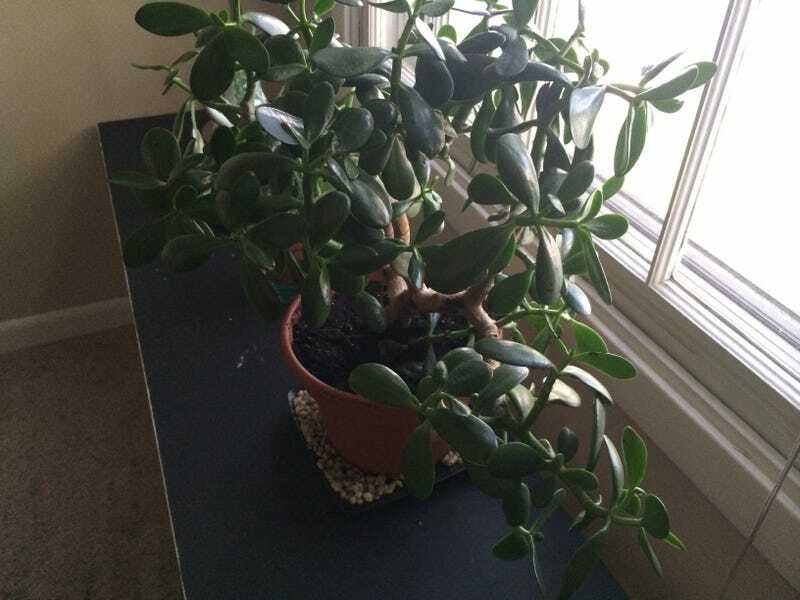 I just came home to see my beloved Jade, miss Jade Plant Pinkett-Smith, toppled over on the carpet :( dirt everywhere! I quickly scooped up as much as I can and I need to shampoo the carpet, but I'm so sad right now! I've had this plant since it was a 6 leaf little cutting! Do you think she'll make it? Her companion, Aloefonso Robiero, was unharmed during this tragic incident.